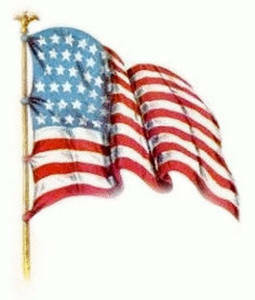 Description: This free vintage clipart image is of an American flag, facing right, waving. The flag shown in this illustrations is faded and looks old. The pole is on the left side of the picture with the flag pointing to the right.WP Clipart.